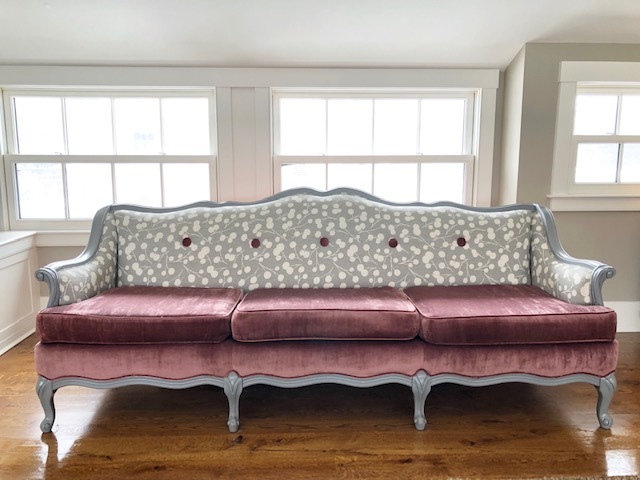 Custom Furniture Design & Re-Upholstery: Many of our signature style pieces we call "Vintage Mashups” and a few pieces we did for Clients and customers when we also had our own in house upholstery workshop. Our specialty is in recycling & refreshing old pieces and giving them a new twist. Fabric is sourced straight from our design studio collection. This is just a small sampling of pieces we have created.